Ready to visit a galaxy far, far away? Disney has announced that brand new Star Wars-themed lands are coming to Disney World and Disneyland Resort in 2019. Ever since Disney acquired Lucasfilm from George Lucas in 2012, fans have been wondering what would be the grand plan for the Star Wars franchise, beyond bringing new episodes to film and TV. The vision for Disney's theme parks is very ambitious, with 14 acres being dedicated at Disney's Hollywood Studios in Orlando and at Disneyland Park in Anaheim. These will be Disney’s largest single-themed land expansions ever. 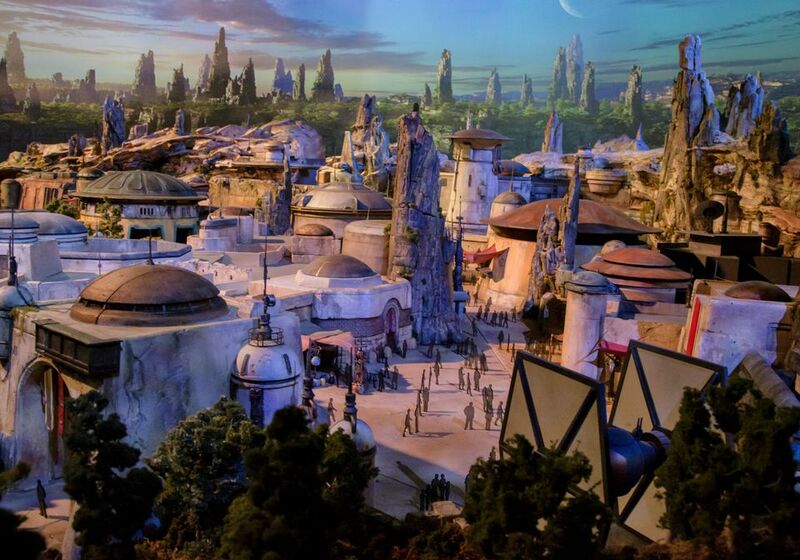 Disney CEO Bob Iger has promised that the Star Wars land will be "every bit as thrilling as the films." 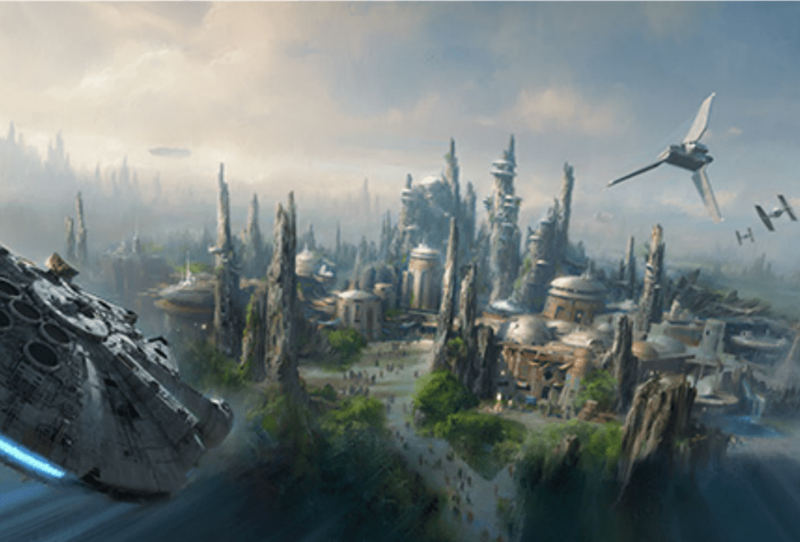 Each of Star Wars lands will feature two signature attractions. You'll be able to step aboard The Millennium Falcon and actually pilot the fastest ship in the galaxy through space, firing the laser cannons, in complete control of the experience. And you'll go on an epic Star Wars adventure that puts you in the middle of a climactic battle between First Order stormtroopers and Resistance fighters. Along with attractions and entertainment, the area will be populated by aliens and droids. Other highlights include being transported to a never-before-seen planet, exploring a remote trading port, enjoying a meal at a Cantina, and witnessing one of the last stops before wild space. At Disney World's Hollywood Studios, you can already visit the Star Wars Launch Bay, an interactive experience to take guests inside the new "Star Wars: The Force Awakens" film. In 2016, the company introduced a new seasonal event called Season of the Force for Star Wars super fans. Families visiting Hollywood Studios can experience character greetings, movie-related displays, new specialty food items, and a new fireworks show called Symphony in the Stars: A Galactic Spectacular. Stay tuned for more information and dates as they are announced.